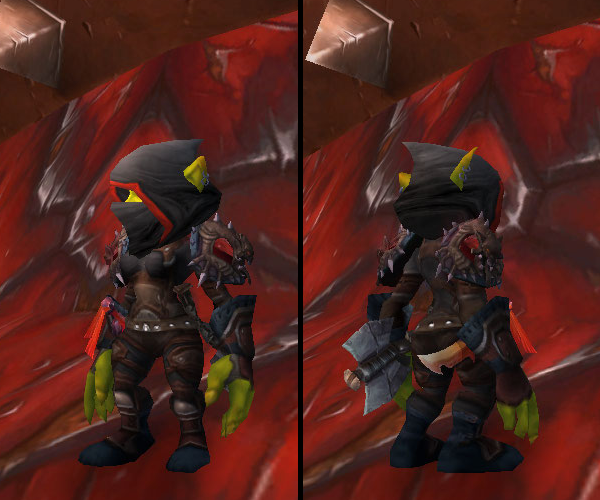 “Savage Scout” Set, or, “How I Fail At Rogue-ing” | That Was an Accident! Those shoulders look terribly familiar. 😛 Nice thing is they match with a lot of the firelands-era jp gear, and they’re also good with the blue pandaria leather. This seal would not be complete without the trademark! Pingback: Doomed to Repeat History | That Was an Accident!